We've got the Star Wars Story universe covered from front to back, with all your favorite characters from the epic movies. Assemble your own band of Rebels or even a group of dark side devotees from our wide selection of Star Wars Story costumes. One thing's for sure, when you get your gang together in these costumes, you're gonna have the most epic Halloween, ever! 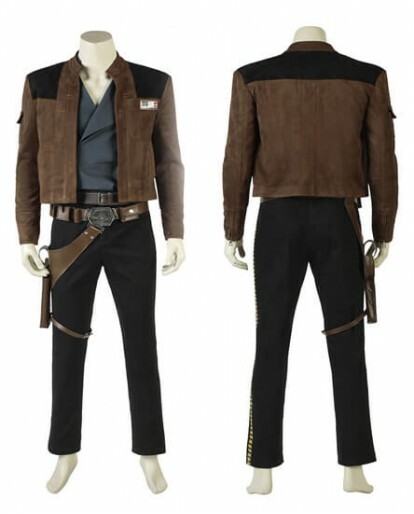 Made of high quality cotton, Solo A Star Wars Story Han Solo Cosplay Costume are comfortable to wear with top quality. Xcoos team put a lot of effort into the creation of the Han Solo Cosplay Costume.